When it comes to diving into a home remodeling project, homeowners take their time. Often they take a long, long time. Procrastination seems to come with the territory. Of some 7,000 folks who shared detailed kitchen remodel plans on the home design website Houzz last year, just one-third had actually taken the first step. Before some recalcitrant remodelers can bring themselves to green-light a project, “Things are literally falling apart” and they’ve reached the point where they simply cannot stand their surroundings, says Pamela Martin Johnston, senior designer with Jackson Design and Remodeling in San Diego. There are less drastic indications that the time is right. Here are seven reasons to pull the trigger on an upgrade before the urge strikes to brandish a sledgehammer. Here is a bonus sign that the time is right for a remodel: You’ve decided to live out your life in your current home. 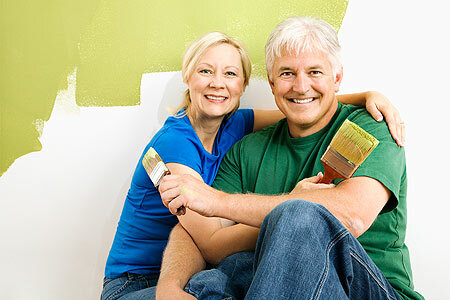 If that’s the case, then it makes sense to remodel not only so your home expresses your tastes and fulfills your desires, but also so you can safely and gracefully age in place. Homeowners of all ages should consider “universal,” or accessible, design elements whether they plan to stay put or not. There no need to sacrifice aesthetics for increased access or maneuverability, Johnston says. Wider doorways that tend to make life easier and can accommodate a walker or wheelchair later on. A bigger shower with a bench seat for comfort and convenience (many women prop a leg up to shave). Grab bars installed now, or walls reinforced so they may be easily installed later. A taller “comfort height” toilet. A lower countertop that can accommodate a wheelchair on one side of the kitchen island.